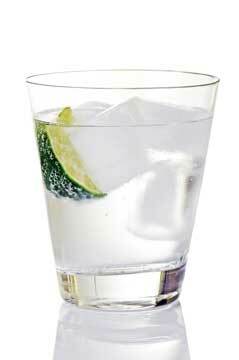 For me, this is the time of year for a good gin & tonic, and judging by a shortage of tonic waters at the local grocery stores right now, I’m not the only one who thinks so. I thought it would be a good time to update and rerun this piece for July 2014, with lots of updates. The recipe section has been extensively updated. I have also posted a roundup of commercial tonic waters which you can read here. One cool spring evening, I spotted an article in Imbibe magazine which extolled the virtues of making tonic water from scratch. It included the much-loved recipe from Kevin Ludwig who, at the time, was at Park Kitchen. As gin and tonic is my drink of choice, it caught my eye. Six or seven ingredients. The entire process boiled down to a few pictures. How simple! What could go wrong? You’d think after years of cooking experience, I’d know better. Conveniently forgotten, my first experience making pasta. I was about to be reminded of exactly how many things can go wrong. 1. Track down a source for cinchona bark also known as quinine. Fool that I am, I ordered a pound, which will last me until the end of my days – purchase more like 100 grams if it’s available. The powdered form is best, as I’ve found that grinding the bark yourself doesn’t give the same extraction. In Oregon, the Stone Cottage in Sellwood carries cinchona, or if you prefer mail order, you’ll find it at Amazon.com. If you are ecologically minded, look for a company that practices sustainable harvesting. 2. Next, find citric acid. I’d never noticed it in the store before, but with a quick bit of sleuthing, I tracked it down in the bulk foods section at a local market. In Oregon, Fred Meyer and New Seasons has it, or check Amazon.com. I scooped some of the white powder that looked suspiciously like a street drug into a plastic bag, and headed home, hoping I wouldn’t get pulled over for some minor traffic violation on the way. 3. On to the easy stuff. Lots of limes, sugar, some star anise, lemongrass… I even threw in a new box of coffee filters. As soon as the quinine powder arrived, my mise en place would be complete! I’m not good at ordering things over the internet. Once the credit card is accepted, I start looking out the window, waiting for the UPS truck to deliver the goods. How can it be, that in these days of the internet and miracle inventions, some sort of appliance in the kitchen doesn’t ding and proffer forth my quinine as soon as the credit card goes through? Anyway, after five days of waiting, I’d run out of store-bought tonic water and was feeling grumpy. Still it failed to show. That evening, after a particularly lousy day, there was a quiet rapping on my door. The dog and I looked at each other, and decided it was the crazy lady down the hall, so didn’t answer. It wasn’t until two hours later when I took him for a walk, that I nearly fell over the small cardboard box next to my door. A small amount of brown powder was spilling onto the yellow carpet. The dog could wait a moment. I brought the dusty mess inside, and wetting my finger, dipped it into the quinine. Mentally put my taste buds on high alert, ready to find the subtleties as I raised it to my mouth. It was, as they say, a regrettable error. My lips involuntarily slammed shut. I wanted to wash my tongue with soap. It was horrible; a foul, acrid taste that must be akin to waking up face down in an Irish peat bog after one too many drinks. Undaunted, I opened the box, and then a bag, and, inside that, another bag (lots of good they did), and watched as a fine brown powder rose and hung in the air before settling all over the kitchen. Interesting. I walked the dog and considered the possibilities. Yes, I could do the reasonable thing and wait until the next day, but it was only ten on a Friday night. Twenty minutes later my simple syrup was boiling away, I’d added the other ingredients, and was looking forward to the famous Park Kitchen gin and tonic. In retrospect, I now realize that I was a stupid fool. The Imbibe article mentioned that it “can take a while to filter out the quinine” -the understatement of the year. I strained it through a sieve, then cheesecloth. Nothing changed. Set up a cone, carefully pouring the syrup into a paper filter within. It started running through, coming out a beautiful honey brown. Ahaha! I cried, just before the promising stream slowed to a few drops and stopped, filter impossibly clogged. 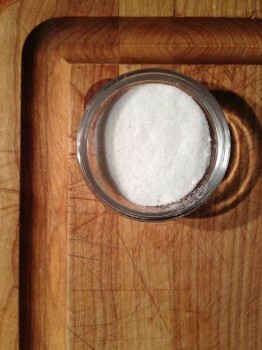 A scant teaspoon shimmered in the measuring cup below. I’m not one easily daunted by cooking. Soon every sieve in the house was lined with a coffee filter, slowly dripping my elixir into bowls and cups. I set them all over the kitchen counter, balancing the sieve handles on spice jars to keep them from falling over. With methodical precision I moved from filter to filter, emptying-replacing-emptying-replacing, always careful not to lose any of that beautiful tonic. I was a tonic making, filtering machine. By one in the morning I had enough to make a drink, and, with shaking hand, raised it to my lips. It was good, but a little harsh; perhaps a bit sweet. Would it mellow over time? It needed a stronger gin to stand up to the flavors. I was tired. My back hurt. Sanity finally regained its hold, and I decided to change the filters once more and head to bed. That is where things really went wrong. You know how dominoes are when you stack them all up in nice, neat little rows? Push one, and they all go with satisfying little clicks? Jury-rigged kitchen contraptions are similar. When a tired arm hits the back of a sieve propped up on a little bottle, and the resulting pull of gravity flips the filter full of syrup into the air, time suddenly slows. I flailed helplessly as four filters full of skanky, sticky, simple syrup-laden brown muck catapulted themselves to various landing spots in my kitchen. Some of the gunk ran across the counter and into that little crack between the stove and the cabinets; you know the one? Some poured to the floor and ran under the oven. One batch made a pirouette that would make a dancer proud, and landed in my open kitchen gadget drawer. Some items of note about simple syrup: on a good day, when spilled, it is hard to clean up. 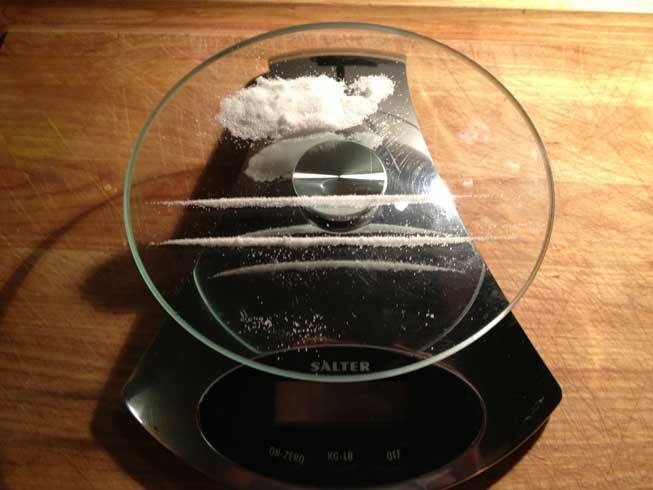 Add a measure of acrid brown talcum powder and some citric acid, and you have a substance that is like glue. I can’t tell you how many times I mopped the floor. I pulled out the oven and mopped some more. Rinsed all the gadgets in the drawers… and the drawers below. Like some miracle product sold on late-night TV, as soon as everything dried, it turned sticky again. I made it to bed at 4:30am, uncomfortable with the knowledge that I had been able to save about three ounces of tonic. Not my best kitchen performance. Category: Food Writing, Recipes. Related posts about Park Kitchen Restaurant. More about Kevin Ludwig. Dammit she beat me to it. See… that’s how crazy it made me! You’d better have some damn good gin lined up for the next effort! Maybe you should let Dog Dude have a go at it? dude, i feel your pain. i’ve had a couple similar disasters in my kitchen as well, which still bears some of the scars. good luck. looking forward to the next installment. 503eater, That device still uses paper filters, so I don’t think it would work. This stuff is literally like talcum, and when you add simple syrup, would clog anything. I have found some shortcuts, which I’ll list next week. JDG: First thing that came into my mind too! Um, got one laying around? You need a Buchner Funnel to do this propa. Basically, a high-pressure pump hooked to a paper filter sieve. I’ve been wanting to try Kevin’s recipe, so email me if you want someone to take some of the chinchona off your hands. Here’s a little hint for you, Dude! Don’t add the sugar in the first step as the recipe states. Boil the 4 cups of water with your ingredients, then strain. Things will go a lot faster this way, and all you have to do in the last step is reheat the liquid and add the sugar. Oh man, I’ve been in love with the “Small Batch Gin”, since I tasted it. And I never really like Gin, that’s how good it is. Hendricks of course! Is it really that hard to make? Kevin said a key is to let it cool before moving fwd, otherwise it’s cloudy. ??? Food Dude, did you make the tonic? Ellie, you can read the 2nd part of the story by clicking here. I found it a lot easier to boil each ingredient seperatly and store in pint mason jars in the refrigerator. Once I had them set up this way it is easy to mix up a batch. I can now mix up a batch of tonic water and carbonate in a matter of minutes (I have CO2 and a regulator from my home brew beer days that I carbonate it with). This lets me experiment with a lot of flavors without sacraficing a large batch of cinchona. I just stumbled on this after reading about homemade tonic in the Washington Post today. I am undeterred but I never did see your recipe. That piece about making homemade tonic water is one of the most hilarious pieces I have read. I can so relate. I love tonic water, too, and my husband is tired of going to the store to get me more. Plus it’s expensive. But this piece reminds me of my adventures in making homemade lotions and creams. What a mess, and the house was filled with bottles and jars of all kinds of chemicals. I would be up late at night standing over some concoction in the kitchen. And none of it was any better than Pond’s Cold Cream, which I have used since high school, and I have beautiful skin. But anyway, I might just try the tonic water recipe. Thanks for the laughs. I think i will still try to make my own tonic water, this sounds like it could’ve been a seinfeld episode. Great story and most of us have had similar experiences concocting one type of brew or another. But this sure sounds like it’s worth a try because it’s nearly impossible to find good tonic water at the store. I’ve run into this same problem with green tea and pretty much any other small-particle syrup. The idea is to make a tea first, without adding the sugar. The water+sugar together make the liquid too viscous to strain at all. Once you have achieved the desired level of cleanliness, add the sugar. I tried that, but liked the outcome better when done per the recipe. Of course that may have been a psychological thing – I like a challenge. I love G&T’s and was appalled when I learned that commercial tonic has the same amount of sugar as colas and other sodas, so had been buying diet tonic. But because I always use really good gin and fresh limes I couldn’t justify ‘ruining’ a perfect drink with all those nasty chemicals. I decided homemade tonic was the solution. I went on-line, did the research, and in addition to the Inbibe recipe found another recipe. FoodDude, reading your tonic making story, which made me laugh so hard, only reinforced what I ended up doing. Because after I read all those filtering instructions, takes a few days etc, I decided to take an alternative route: I cajoled one of my homebrewer friends into making some tonic syrup for me! He had all the equipment set up for filtering and voila, I have a supply to last for quite some time. And I’ve also found that while expensive, the organic Q Tonic made with agave and available at a few Portland liquor stores is a wonderful commercial tonic, so I have that on hand too, for those “splurge” occasions and when I don’t have sparkling water to mix with my tonic syrup. The Buchner funnel is a good suggestion. Another is the use of a filter tube with spun glass filter element, which may be pressurized as well. Steep cinchona bark in two cups of water for a fairly long time, then filter just that through coffee filters. Steep the other ingredients (zest, lemongrass, etc.) in four cups of water for a shorter duration. This stuff can be filtered quickly with a fine mesh strainer. Mix the two liquids together, add your sweetener (I use agave nectar), and heat until everything is well-blended. Guys guys guys, the trick is NOT to use POWDERED Cinchona Bark. Check Amazon for the “cut and sifted” label. This will save you tons of time. I’ve made liters and liters of tonic syrup for my customers who keep asking for more variations. So far the favorite is the “strawberry cardamom” variety. Anyways, trust me, use the cut and sifted stuff. If you must use powder place it into a fill-able tea pouch before heating, just don’t let the powder mix with everything else. I tried making my own tonic when this article came out, and loved it! I have been drinking fevertree bitter lemon soda and decided to try making my own syrup – it turned out great, so I wanted to share. In a blender puree whole lemon and water. Add to a pan and simmer with sugar until sugar melts. Strain through a bag or tea towel. It is sweet and bitter and a little thick from the natural pectin. Great with soda water or with a little vodka. ​Tonic water is very fun to make but be careful when using cinchona bark. 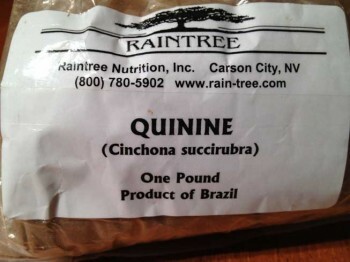 This bark contains the toxic quinine, which is the signature ingredient for tonic water.